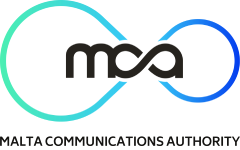 The MCA is hereby updating its series of Data Report Sheet ('DRS') publications with a report covering the period Q1 2014 to Q2 2018. The report sheet lists a number of indicators for the aforementioned areas, with data presented on a quarterly basis. A separate worksheet with annual data is also included. In line with the MCA’s efforts to add further value to such publications, the DRS now includes information on mobile data consumed domestically as well as data used whilst roaming. Moreover, the leased lines segment has been further enhanced to include information on connections by speed. On a different note, readers are informed that fixed broadband data from Q1 2014 to Q1 2018 has now been revised.